The SHS Band program has been honored with the opportunity to host the concert of one of the last true big bands in our country. 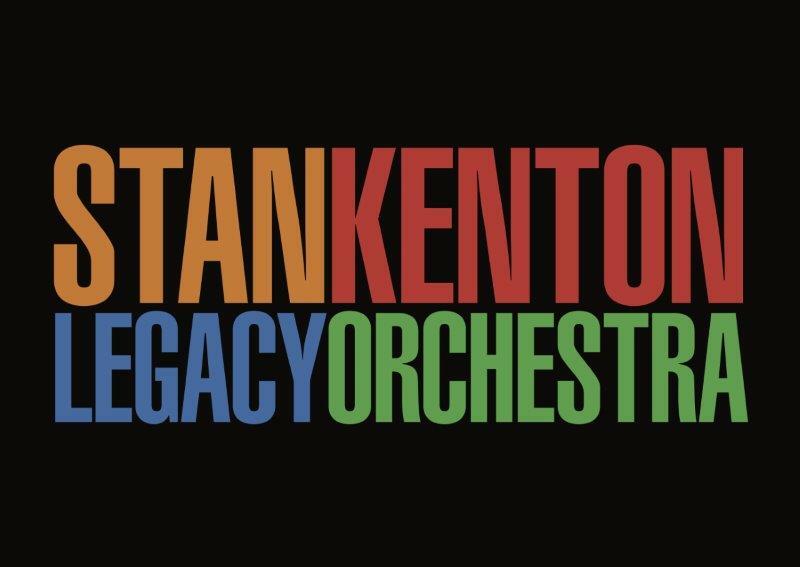 Anyone who is a fan or familiar with the American Big Band sound will immediately recognize the name Stan Kenton. 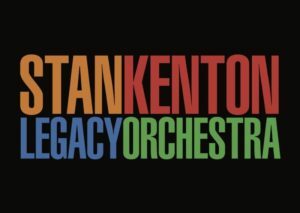 The Stan Kenton Legacy Orchestra is made up of alumni from the 1956 – 1978 Stan Kenton Orchestras, with the addition of some wonderful young new members. 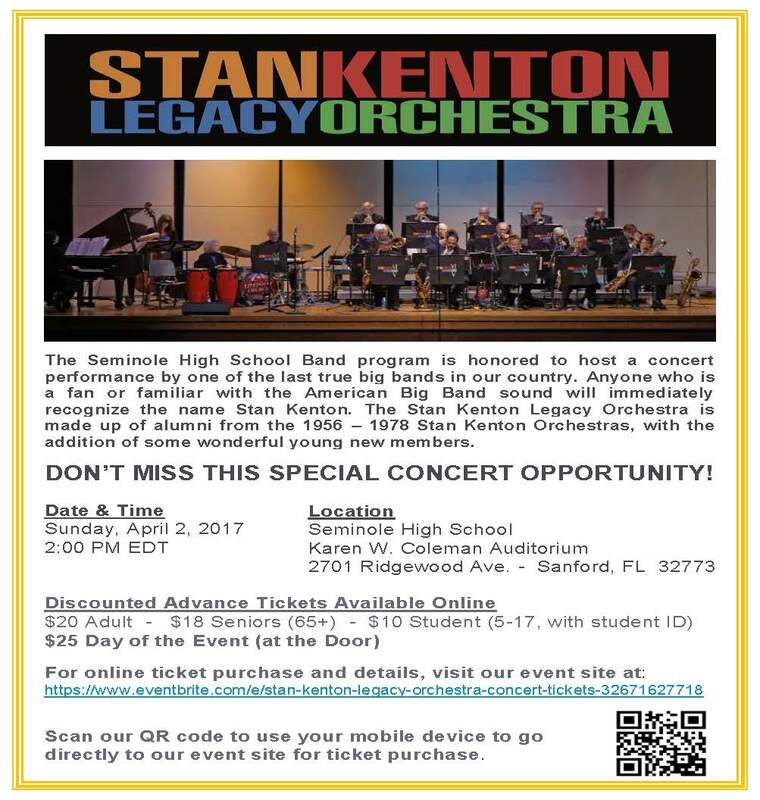 The band performs some of the well-known music of the Stan Kenton Orchestra and tours the country playing events, festivals and clinics with young musicians. The performance will be open to the public (SHS Band will be selling tickets) and that evening, our SHS students will be treated to a Jazz Clinic by the band – what an opportunity for our students and community! Band Parents, Alumni: Please help us make this opportunity a reality for the band students. We need your help! 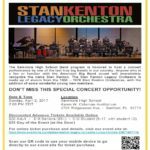 Sign up for the Stan Kenton concert committee. In order to host the band, SHS will be responsible for all promotion and ticket sales for the concert. We will be promoting the concert in the community and students and families will be asked to help to promote and sell tickets. We will also be hosting a pot-luck dinner for the band and their guests on the afternoon/evening of the concert. In order to host the band, SHS will be responsible for all promotion and ticket sales for the concert. We will be promoting the concert in the community and students and families will be asked to help to promote and sell tickets. We will also be hosting a pot-luck dinner for the band and their guests on the afternoon/evening of the concert. At this point, we are asking for volunteers to form a committee to make this concert the success it deserves to be! Please email me immediately to volunteer to help with the hosting of this great concert! Do you have any connection with a local hotel? If so, please let us know – we’d like to help secure hotel rooms for the band members (20 rooms for the night of April 2) at as good a rate as possible. We’re even looking for a hotel that might DONATE at least some of the rooms, in the name of music education! Mark your calendars, tell your family, friends and neighbors – this is a great musical opportunity for our students and community!